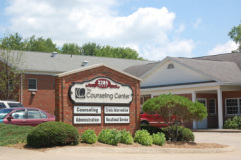 The Counseling Center of Wayne and Holmes Counties (TCC) has strengths in many areas. The organization has been offering services to the local communities for over 60 years. for persons served with half the money other organizations have tried to do. based practices and licensing renewals. violence prevention, trauma, divorce, parenting, autism, bullying, and eating disorders. TCC started NAMI Wayne and Holmes Counties and then helped it become its own entity. fabric of the culture. Staff and leadership care. Award for Case Management from the Mental Health Corporation of America. stated, "The staff is incredible, they literally saved my life, coming here, I've learned how to survive." to continuous improvement and innovation. expansion of supportive housing units on its campus.